Product prices and availability are accurate as of 2019-04-24 02:50:33 UTC and are subject to change. Any price and availability information displayed on http://www.amazon.com/ at the time of purchase will apply to the purchase of this product. Universal Heavy Duty Outdoor Wall Bracket. Fits 9000-36000 Btu Units Adjustable for use with up to 9,000 - 36,000 BTU Units not exceeding a maximum weight capacity of 350 lbs. It includes hardware for ser and expansion bolts for wall mounting The use of mounting brackets raises the condensing unit above ground level for multi-floor mounting. 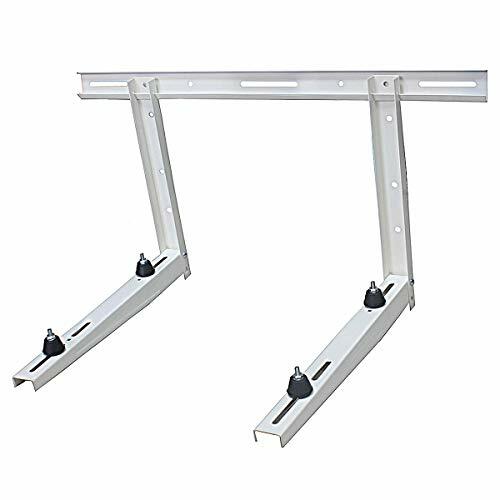 As an alternative to ground level pads, some consumers find the use of mounting brackets useful for greater placement versatility and greater protection from dirt, snow, debris, floods, vandalism, etc. 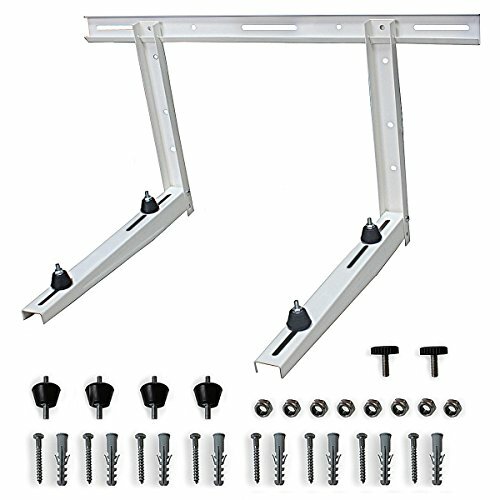 Two L-shaped brackets (foldable),Cross bar,8.8 grade bolts with lock nuts, Wall fixation kit, Anti-vibration feet ungraded to 1 1/2 inches tall! Dimensions: Width: 33.5" Height: 18" Depth: 22"